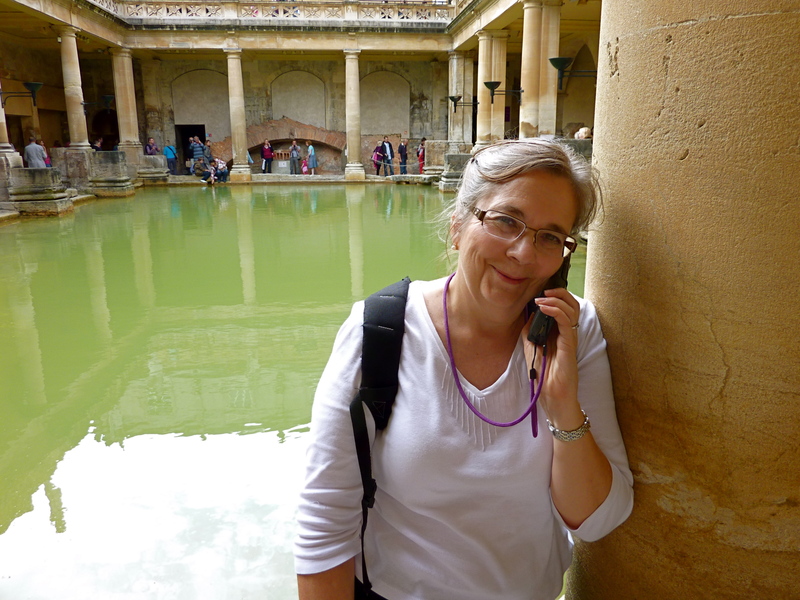 Today we journeyed to Bath, the historic Roman and Georgian spa city, which is about 100 miles west of London, and about 1 1/4 hr from Oxford by train. We explored the town, visited a small museum with a special exhibition, and made some new mates who educated us on cricket. We finished with maybe our finest meal of the trip at Portvcale, a superb Portuguese restaurant, which serves a wide array of delicious Petiscos. 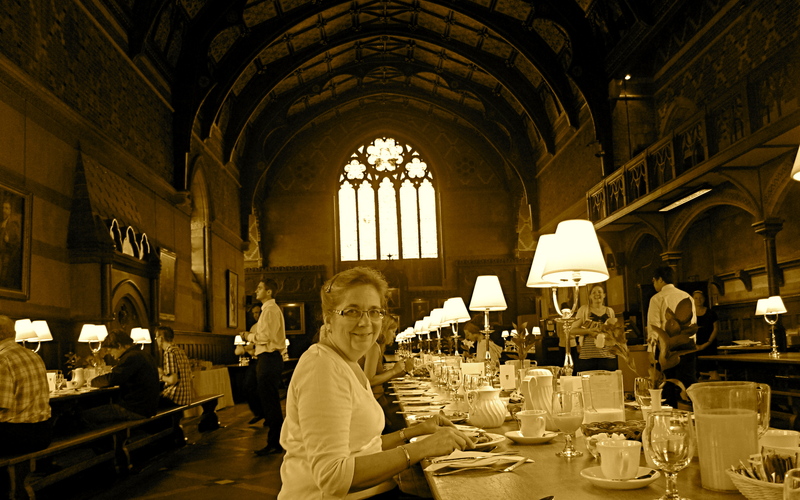 Hogwarts – the smaller dining hall for muggles. Ethan didn’t think we could find our way here. 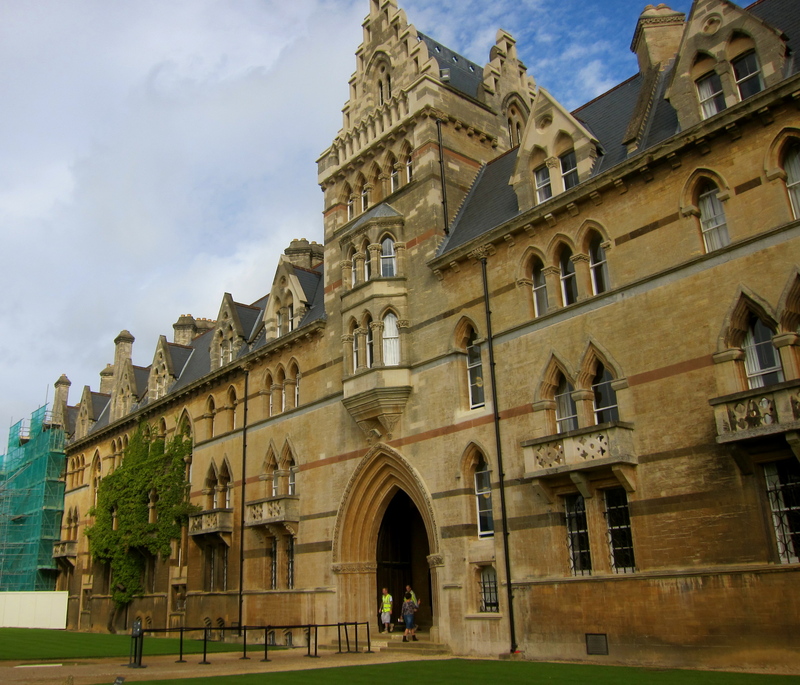 Oxford – Christ Church college. too bad they had a delayed opening this day. 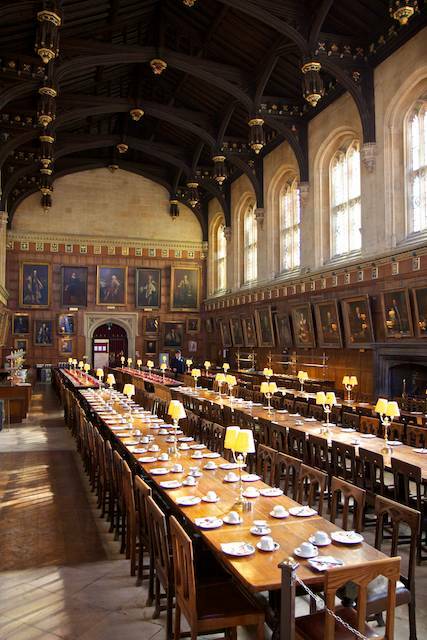 Christ Church College dining hall – if they had been open this is what we would have seen. Ethan & Karina – does this look familiar? 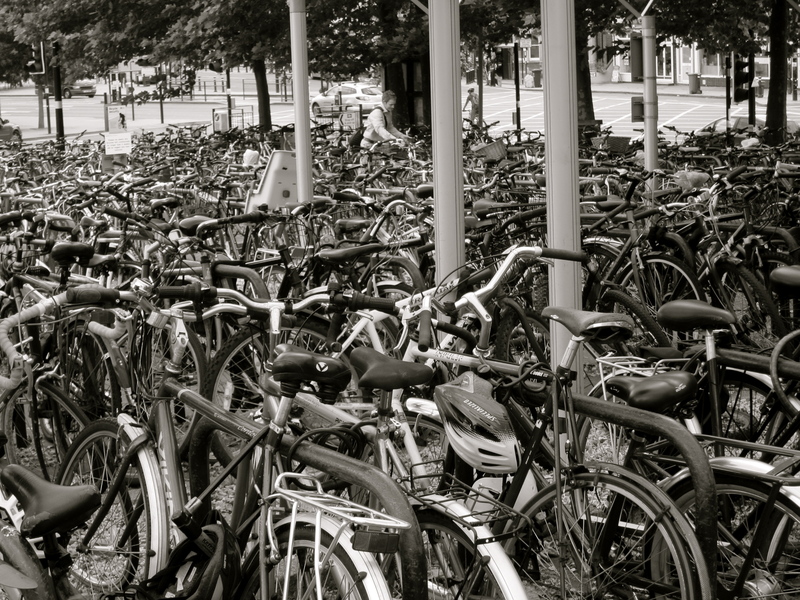 Oxford – Bud & Pat, I think I have figured out how the P.O. 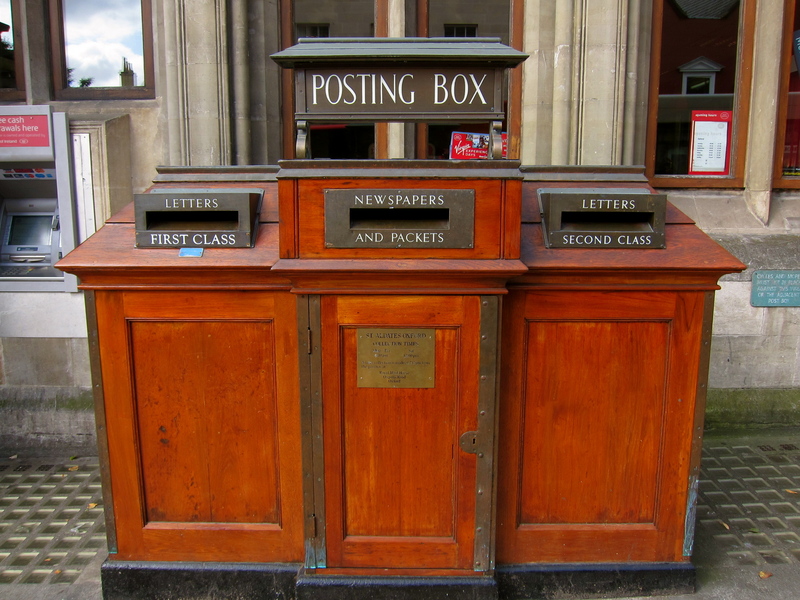 can solve their deficit problem – new mailboxes. 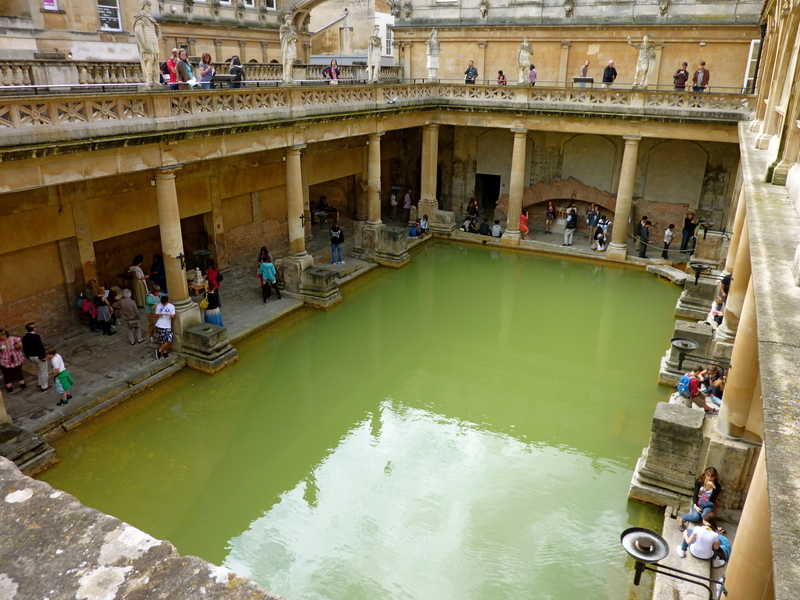 Bath Spa- Around Britain’s only hot spring, the Romans built a temple and bathing complex 2,000 years ago that still flows with natural hot water. 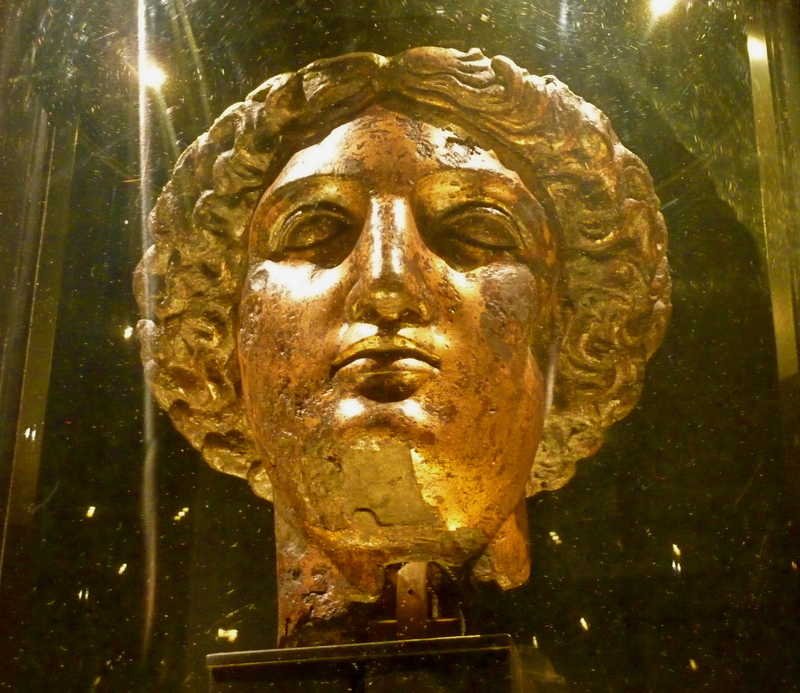 Bronze, gilded head of the goddess Sulis Minerva whom the Romans worshipped in Aquae Sulis (Bath). The most important Roman artifact found at the site. 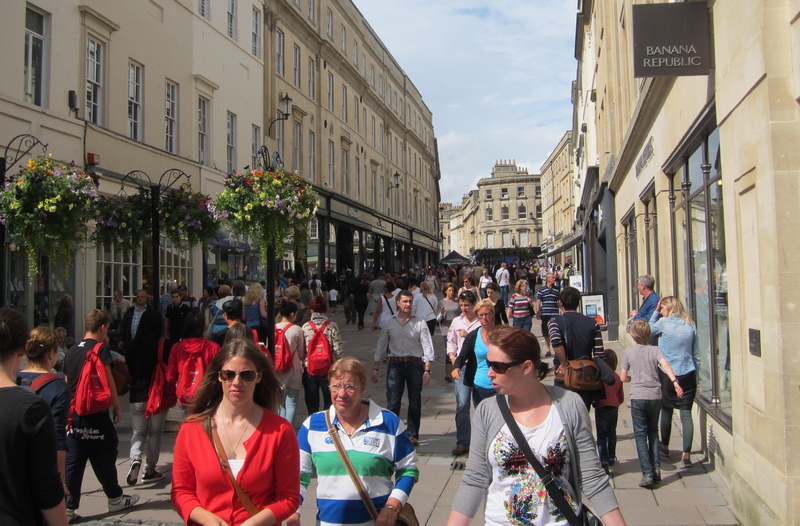 Bath/High street: the real reason folks come to Bath – shopping. I’m sure the Roman legionnaires posted to this god forsaken place at the edge of the empire would be amused at what has developed here. 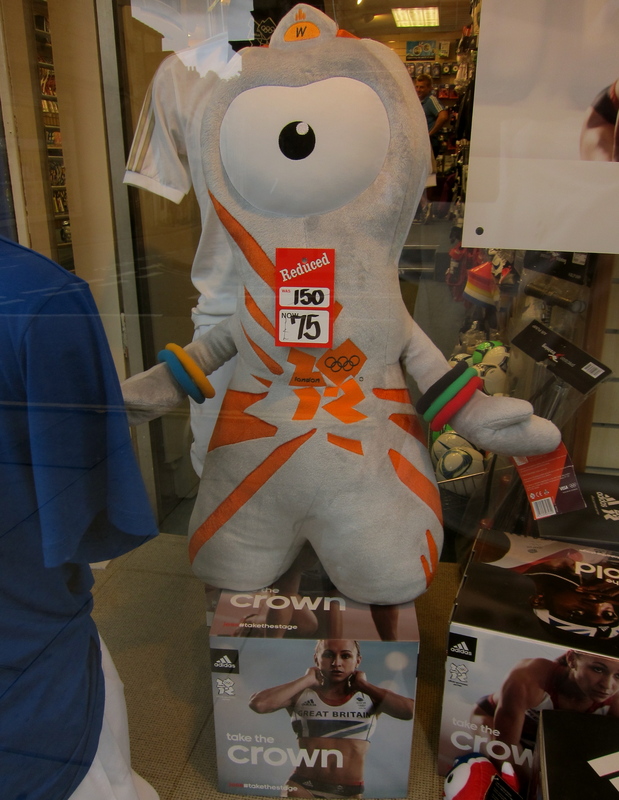 …although not too many folks shopping for Wenlock & Mandeville. 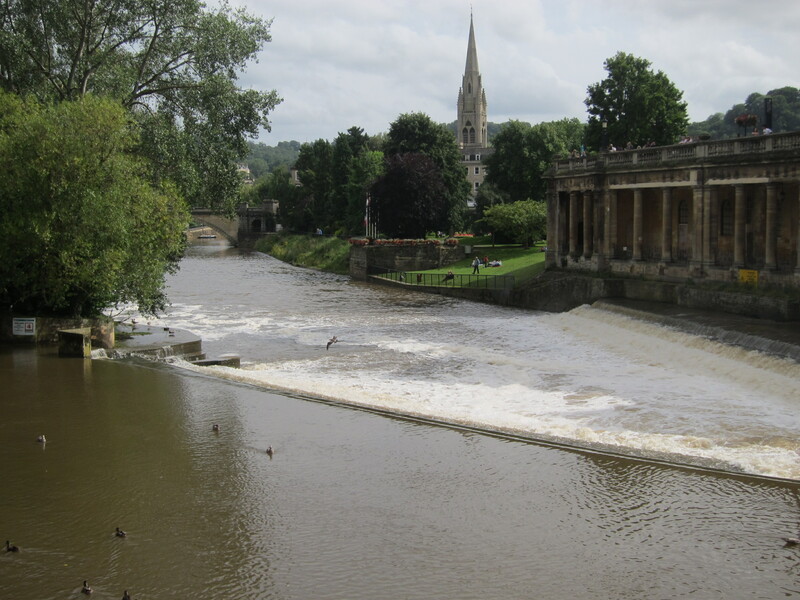 River Avon as it flows through Bath. Kind of confusing because there are Avon rivers all over England – it’s the celtic word for river. 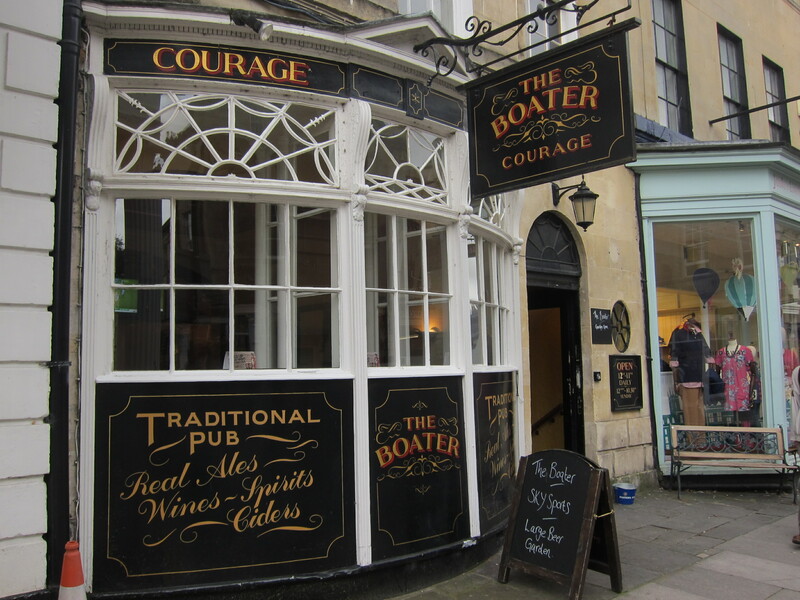 Today’s PremierPub: The Boater, with a nice beer garden out back overlooking the river. 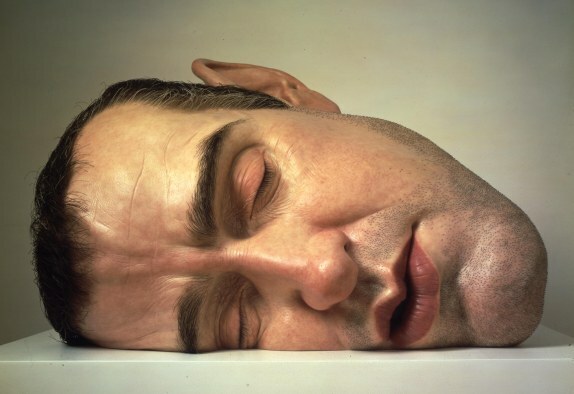 Bath, the Holburne museum: special exhibition, the Art of Portrait sculpture. Madame Tussaud, eat your heart out. Today’s Pint: it’s a pint of Doom. even if it didn’t taste good, the name makes it a winner. 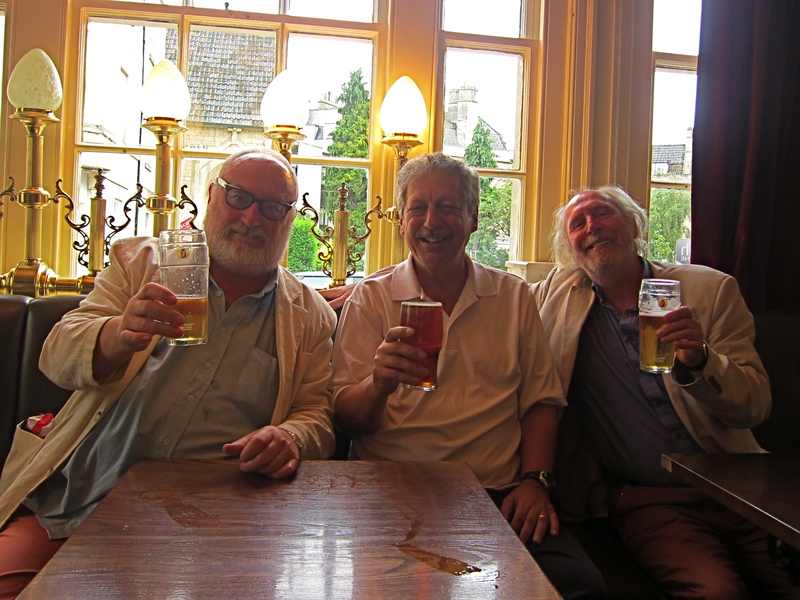 Sharing a couple of pints with my new mates, Ben & Adrian. They are from up Manchester way and were in Bath for a day at the races. all the pubs were showing the big test match between England and S.Africa, the two best cricket teams in the world. Ben and Adrian were kind enough to explain some of the intricacies of the sport, so that we had some idea of what we were watching. Looks like the pair of you are having one heck of a time. Just hearing about all the brews you are quaffing is making me envious, and the photos are superb. It’s not the mailboxes that are the US Postal Services problem Greg, it’s that no one is putting anything in the “bloody” containers.